On HKU FinTech Day, Professor Douglas Arner from HKU Law Faculty announced the milestone of the Introduction to FinTech course and the HKU FinTech Professional Certificate comprising three interdisciplinary courses from three different faculties at HKU. The first course, Introduction to FinTech was launched by the Faculty of Law in May 2018, and the upcoming two courses FinTech Ethics and Risks and Blockchain and FinTech are currently under development by the Faculty of Business and Economics and the Faculty of Engineering, respectively. 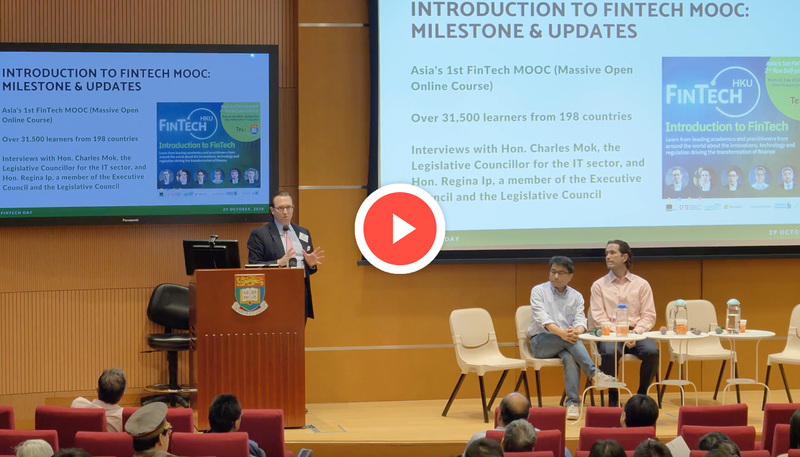 Professor Arner said it has been an exciting year for Introduction to FinTech MOOC. Today, the course has over 32,000 enrolled learners from 198 countries, which means there are learners from literally every country in the world. The course has a far and wide reach to learners, bridging the gaps in fundamental knowledge of FinTech for practitioners in financial services, legal and technology industries, students, and interested learners across various disciplines. We anticipate that the two new MOOCs will continue to bring exciting news when released in 2019. Professor Douglas Arner introduced the two new MOOCs, FinTech Ethics and Risks and Blockchain and FinTech, and the chief course instructors of the two courses, Dr David Bishop and Dr David Lee from the Faculty of Business and Economics, and Dr SM Yiu from the Department of Computer Science of Faculty of Engineering, respectively. 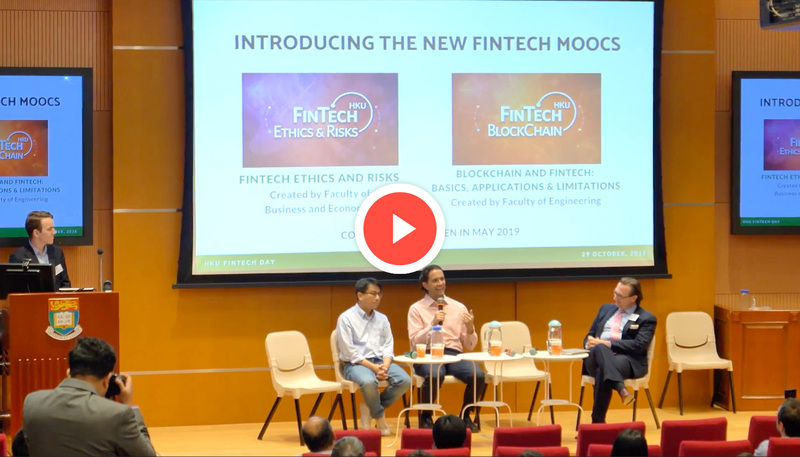 Dr David Bishop and Dr David Lee presented the official course trailer of the FinTech Ethics and Risks course and talked about the ideas behind putting together the world’s first course in FinTech ethics. The Chief Instructors of FinTech Ethics and Risks MOOC, Dr David Bishop and Dr David Lee from the Faculty of Business and Economics. “The objective of the course is not to bring us to a specific set of knowledge but instead to carry a simultaneous journey together. Learners join us as we consider these tough questions that help shape our collective future,” said David Bishop. The short video of Dr David Bishop’s talk about the new MOOC. 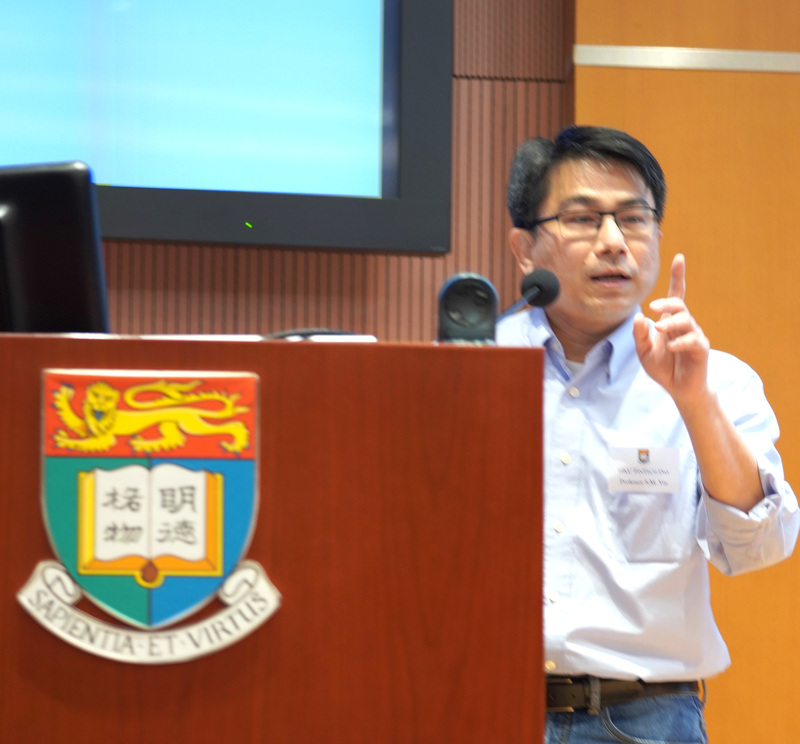 Currently, Dr SM Yiu from the Department of Computer Science of the Faculty of Engineering is also driving efforts for putting together HKU’s first Blockchain and FinTech MOOC. 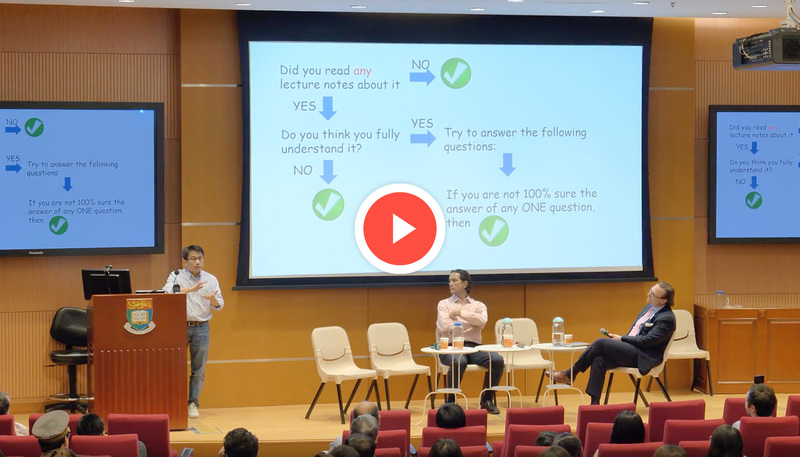 Dr SM Yiu gave the audience 9 questions to decide whether they should join HKU’s upcoming Blockchain and FinTech MOOC, which will be released later in 2019. Let’s try these 9 questions now and see whether the MOOC is for you too! Q3: What is the role of each cryptographic operation (e.g. hash)? Q4: Why we want to chain the transactions together? Q5: Who are miners and why we need miners? Q6: Blockchain is very secure and can 100% protect your privacy? Q7: Given an application, judge if it is best-fit for blockchain? Q8: Do you know how bitcoin is used by criminals (the “evil” side)? Q9: The differences between different blockchain platforms? If you do not know the answers to any of the questions, you will find the answers in the 6 modules of the Blockchain and FinTech MOOC. You will also learn about blockchain design and architecture, industrial applications, as well as the new opportunities, security issues, and illegal activities.